It’s been less than a year since Land Rover knocked our socks off with the 2017 Discovery. So what are the chances that a company with a history of few new models could pull off two solid entries in a single calendar year? Well, if you’re the current iteration of Jaguar Land Rover, I’d say the odds are quite good, given the number of excellent new vehicles to their credit in the last 5 years or so. It doesn’t hurt that the new Range Rover Velar shares key platform elements with the impressive and wildly popular Jaguar F-PACE either. 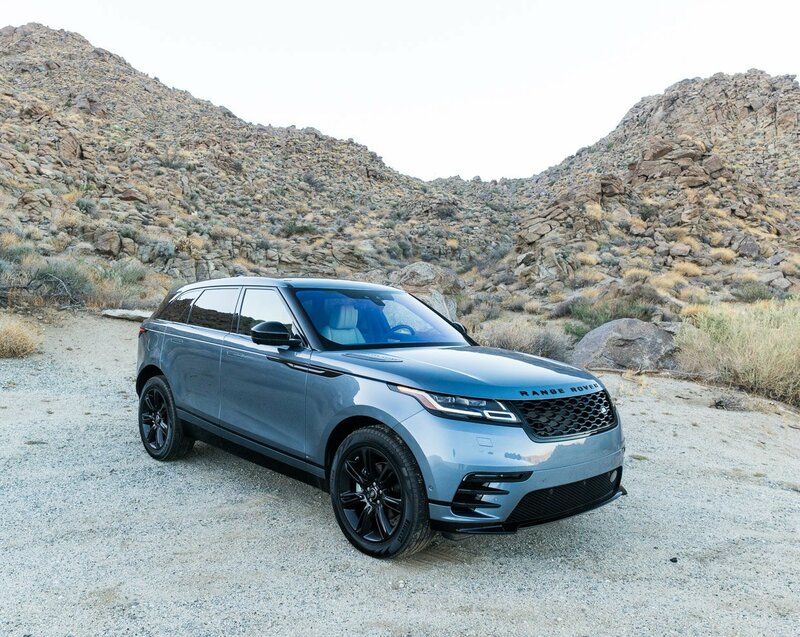 The Velar is a stylish new model which fits in between the Range Rover Evoque and the Range Rover Sport, offering substantially more space than the Evoque, while gaining substantially in the performance and off-road capability departments. At first glance, the Velar looks like a stretched out Evoque, but other than its raked roofline and iconic Range Rover looks, it’s a completely different vehicle, built on a lightweight new aluminum architecture, and offering multiple new engines, including a 180 hp turbodiesel, a 247 hp turbocharged inline-4, and a 380 hp supercharged V6 engine. If you happen to live in Europe, you’ll also get the options of a 300 hp turbo 4 and a 300 hp turbodiesel, though there are no current plans to bring these engines stateside. I had the chance to drive all three US engine variants, and found that you really can’t go wrong with any of them. Sure, the supercharged V6 is a blast, and offers a rewarding 0-to-60 time of just 5.3 seconds. But, the gas 4-cylinder by no means feels underpowered, and once the turbodiesel gets up to speed, it’s got plenty of torque to spare. As an added bonus, it’s not nearly as shouty as the same engine in the F-PACE, so it doesn’t sound like it’s overworking itself in lower gears. All variants of the Velar get ZF’s popular 8-speed automatic transmission, which can be found in various incarnations in everything from the Jaguar F-TYPE, to the Rolls-Royce Dawn, to the Dodge Challenger. It’s still one of the smoothest and fastest shifting automatics you can get. 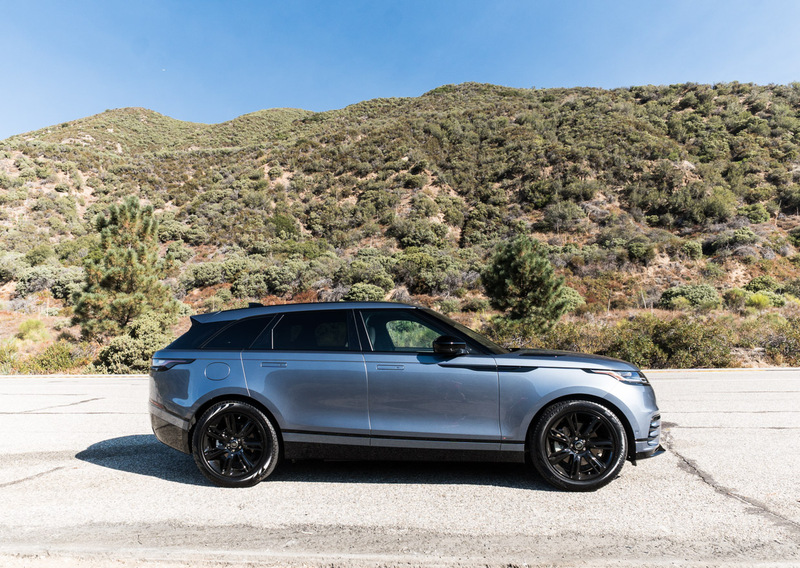 The design of the Velar is impeccable, both outside and in, with slick details like door handles that retract flush into the body, and wheels as large as 22″, making it really look like the production embodiment of a concept car. The interior features clean modern lines, and is an airy and comforting environment, that really lives up to its designers’ goal of a “calm sanctuary” on wheels. 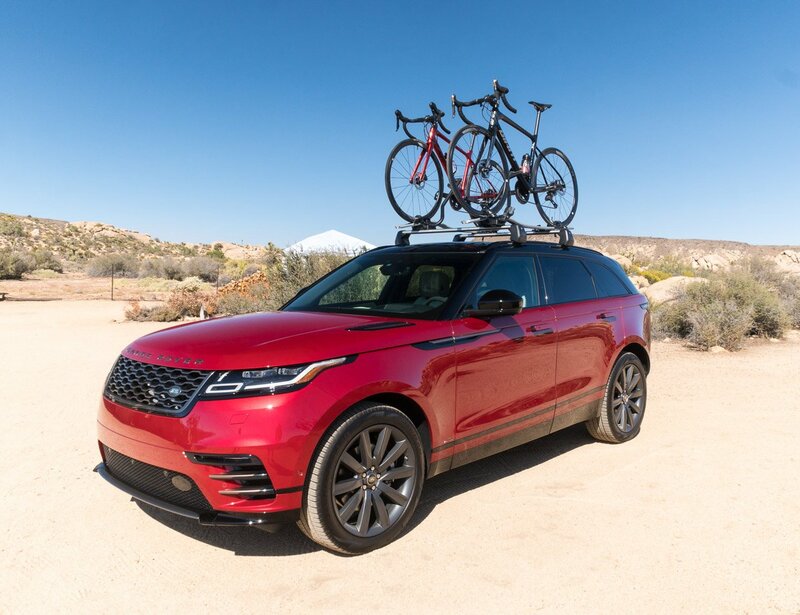 Overall, the Velar offers a softer and quieter riding dynamic than its F-PACE cousin, which is a clearly intentional decision to set them apart from each other. It still offers an engaging drive, in part thanks to its rear-biased all-wheel drive system, though I did find there to be more body roll while cornering – especially in the V6 vehicles, which come equipped with air suspension instead of coil springs. All models come standard with adaptive dampers, which can adjust ride firmness dynamically based on driving conditions, and have specialized modes for performance and off-roading. Noise, vibration, and harshness is very well managed. The only noise I noticed besides the expected engine revs was just the slightest whoosh of wind over the panoramic sunroof at highway speeds. 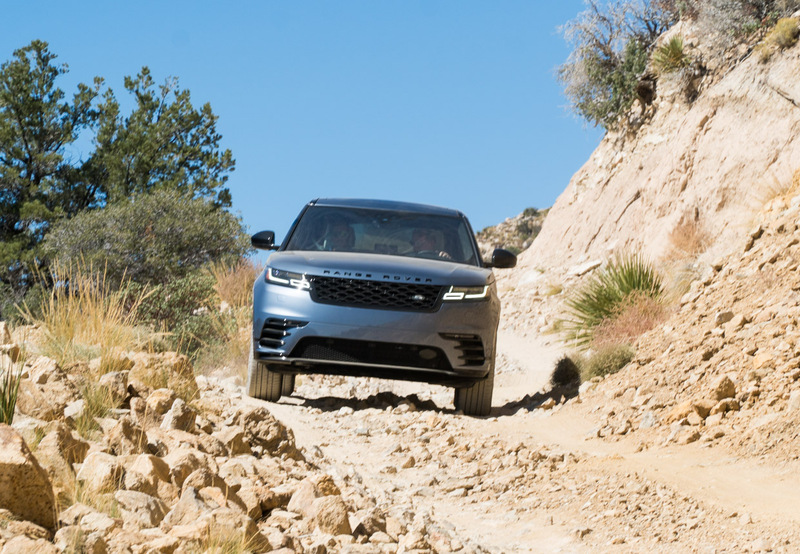 While the Velar is a luxurious and comfortable ride, designed for the well-heeled cosmopolitan set, it’s still a Land Rover, and is more capable off the tarmac than you might think. When equipped with the air suspension, it can rise up to offer an impressive 9.9 inches of ground clearance, and can wade water up to 25.6 inches deep. 4-cylinder models offer 8.4 inches of ground clearance. V6 models can also tow up to 5,500 pounds. 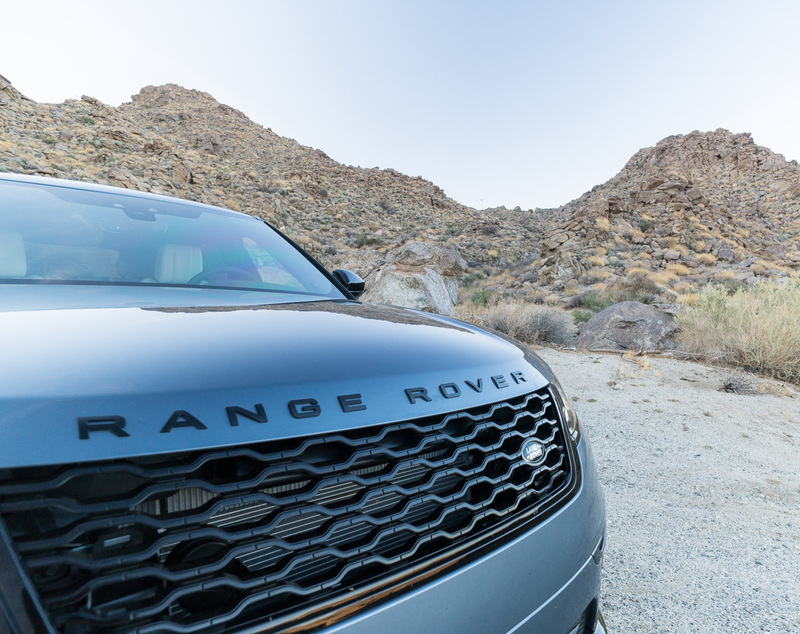 I spent several hours driving the R-Dynamic HSE V6 model on an extensive desert off-road course inland from Palm Springs. I was impressed with the Velar’s ability to handle predictably on loose dirt, gravel, and ruts, while still offering comfort to its occupants. There’s nothing quite like riding along rough and rocky trails while your seats give you a back massage. 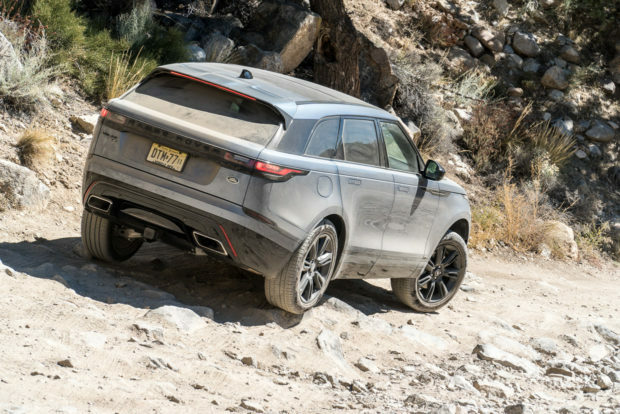 The Velar’s all-wheel drive system does a great job sending traction where it’s needed, with the ability to send virtually all of its power to either the front or rear wheels. Land Rover’s vaunted Terrain Response and Terrain Response 2 systems are available as well, which can adapt dynamically – or on demand – for optimal riding on a wide variety of terrain. I didn’t get to test it out on wet or icy roads, but on the rough, dry trails we drove on, the Velar was happy as a clam. I’m also a big fan of Land Rover’s All Terrain Progress Control system, which is basically a cruise control for off-road terrain. This system works seamlessly to provide automatic throttle and braking at low speeds. 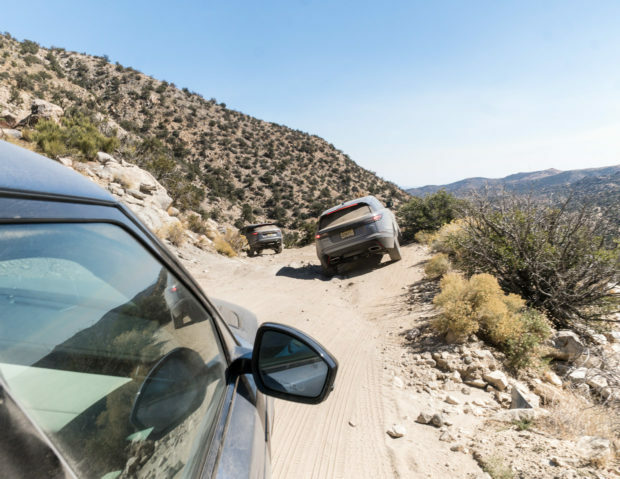 Combined with Hill Descent Control, the Velar can virtually drive itself across rough trails. With these modes active, drivers can focus solely on steering, increasing safety, and decreasing driver stress. 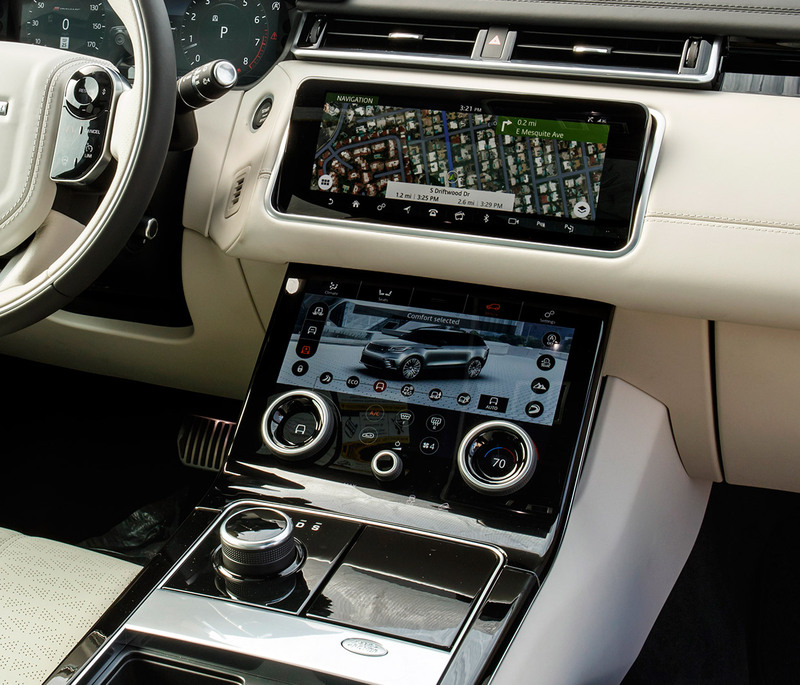 There’s plenty of luxury to be had in the cabin of the Velar, which is offered in variety of materials, depending on trim level. Entry level models get Suedecloth and Luxtec upholstery, while S and SE models get premium, diamond-perforated leather, the R-Dynamic SE adds Suedecloth bolsters to that, and the R-Dynamic HSE’s Windsor leather extends onto the instrument panel and door casings. There’s also a unique textile available for those looking for something different from leather. Kvadrat is a sustainable wool-blend material with a texture not unlike a really high-end denim, and it looks great with the contrasting Suedecloth trim. 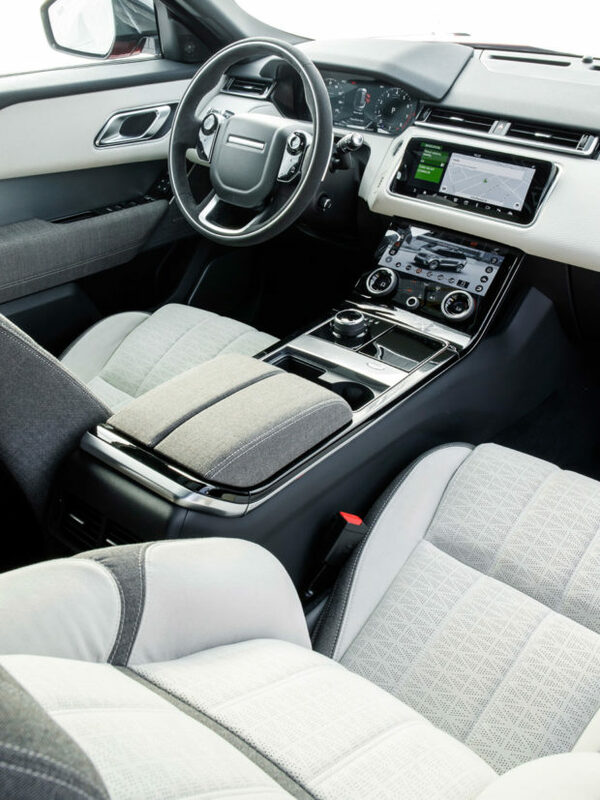 Compared to the Evoque, the Velar’s back seat offers substantially more legroom, and greater overall rear seat comfort. There are independent climate controls for the rear, and a large central armrest which doubles as a cupholder. If you need USB ports in the back, be sure to opt for the Power Plus package, which adds two rear USB ports beyond the two that come standard in the front storage bin. Cargo space is another place where the Velar really shines, offering more room than every other Range Rover model besides than the special long-wheelbase models. 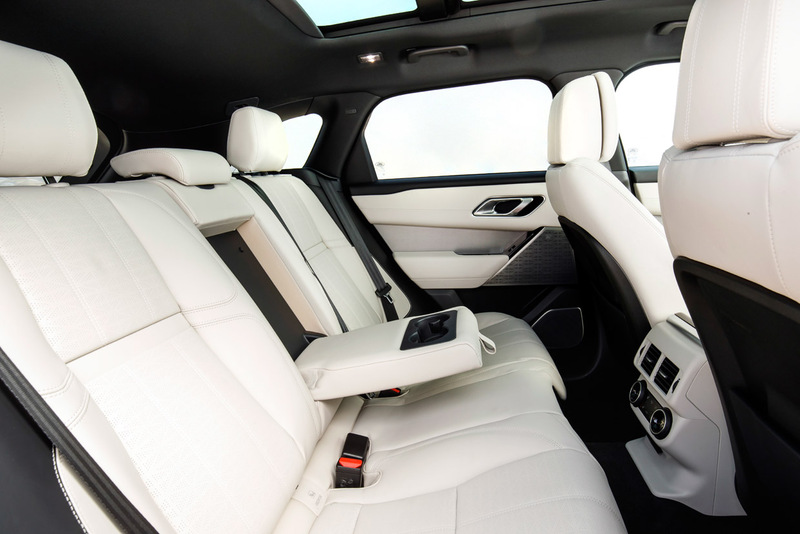 The Velar offers 34.4 cubic feet of space behind the second row, 70.1 cubic feet of space with those seats folded, and an interior height of 41.1 inches. In contrast, the Evoque’s cargo measurements are just 20.3 cubic feet, 51 cubic feet, and 33 inches, respectively. 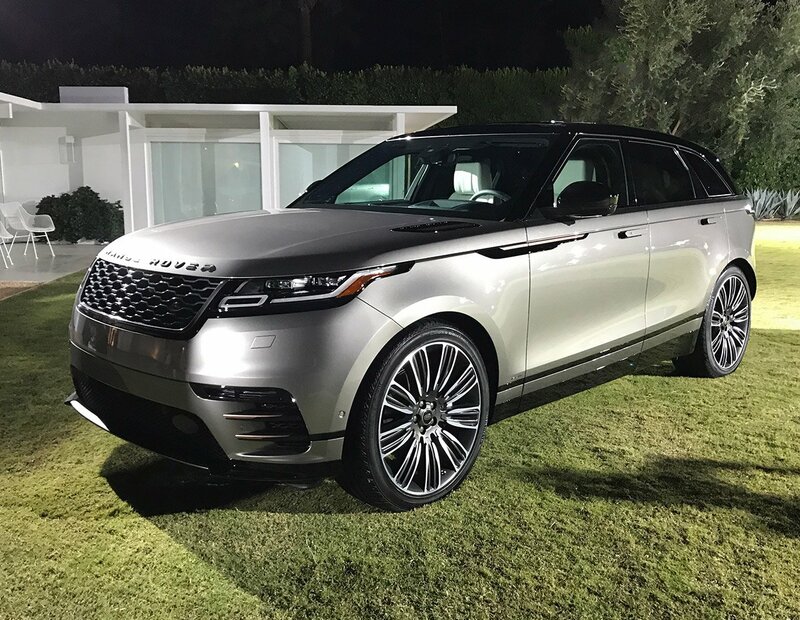 Even the full-size Range Rover doesn’t quite match the Velar, at 31.8 cubic feet, 68.6 cubic feet, and 36.9 inches, respectively. The Velar’s rear seat also folds in a 40/20/40 split configuration for added versatility. 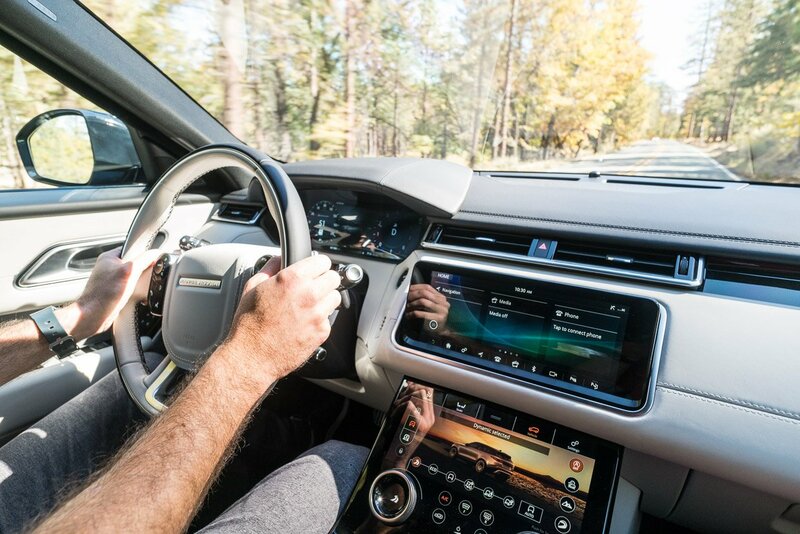 Land Rover offers the Velar with a huge number of high tech features, and in its maxed-out versions, you’ll get three large displays – a 12.3″ digital instrument panel, which can display vehicle gauges or navigation maps, a 10″ widescreen display which serves as the main infotainment system interface, and a slick new lower display in the center stack, which offers up access to climate controls and vehicle dynamics settings. If you can’t get enough displays, a bright full-color heads-up display is also available, though it wasn’t on any of the vehicles I had a chance to test. I was particularly impressed with the speed and usability of the lower screen. Sometimes reducing the number of buttons and knobs can be detrimental, but the user interface designers did a great job here making the controls intuitive and easy to locate, with large virtual buttons which are easy to land your fingers on. 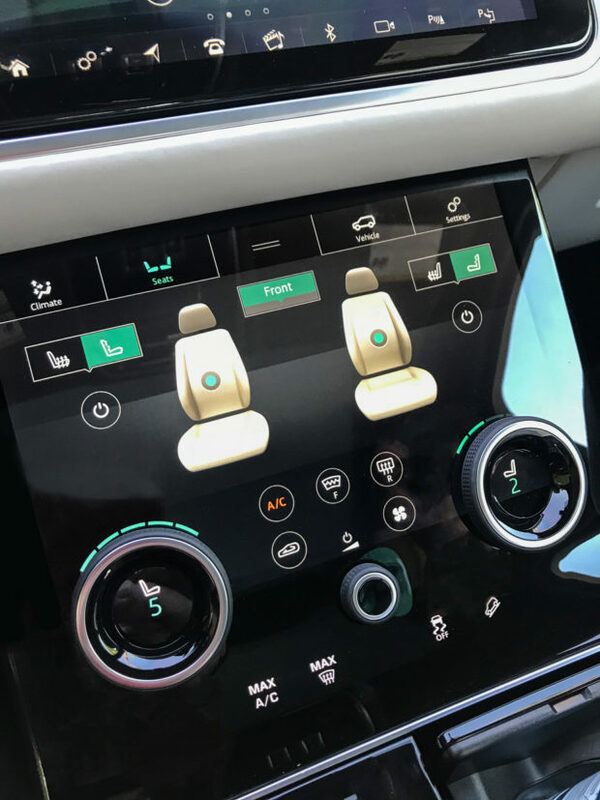 A duo of contextual smart dials can transform to handle different functions, like adjusting the intensity of the seat temperature, or tweaking the off-road mode settings. And they kept a physical knob for adjusting radio volume. 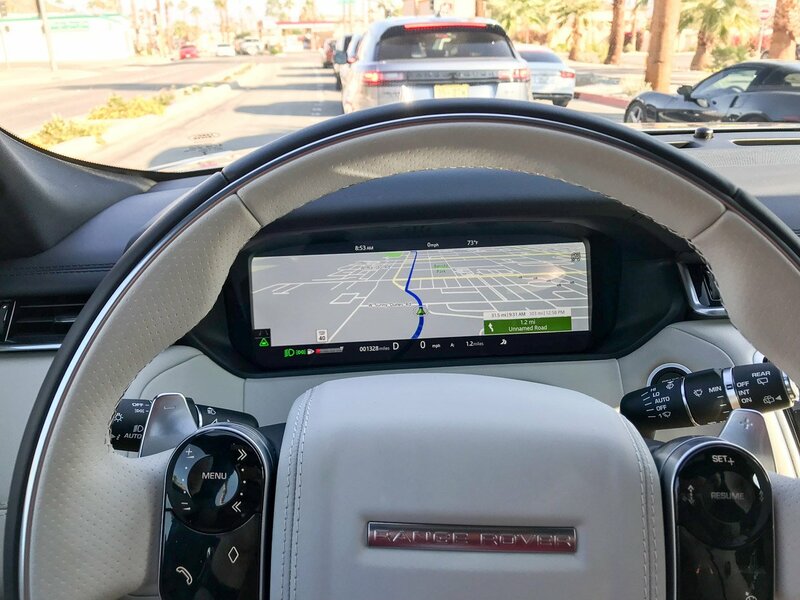 Despite its sleek and modern looks, I found the main infotainment system to be a little more clunky than the vehicle control screen beneath it. Icons are smaller and less intuitive, and the system was at times sluggish. We even had our nav system restart on us a couple of times in the middle of our drive. Keep in mind that our Velars weren’t running final production software, so that could have played a role. I won’t go into the full list of available safety and driver convenience technologies, but pretty much everything you could ever want is available. To name a few, there’s blind spot monitoring with closing vehicle sensing, a driver condition monitor, adaptive cruise control, intelligent emergency braking, lane keep assist, blind spot assist, and more. The base model starts out with a 250-watt, 8-speaker sound system, while a 380-watt, 11 speaker Meridian and 1600-watt, 23-speaker Meridian sound system are also available. While it’s not as spacious or rugged as the three-row Land Rover Discovery, the Range Rover Velar is still an excellent vehicle, and a great choice if you’re looking for the stylish sophistication of the Range Rover brand, while retaining the capability that every Land Rover promises. It’s available at a wide variety of price points, ranging from just under $50k for the base 4-cylinder Velar, all the way up to $89,300 for the fully tricked-out Velar First Edition. 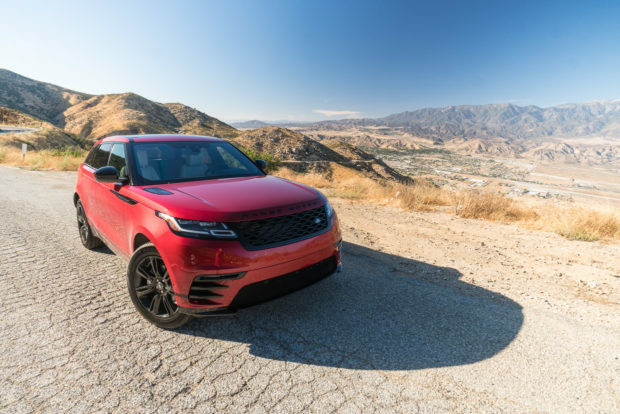 But no matter which Velar you buy, you’ll get a great looking vehicle, with ample space for five passengers and cargo, a comfortable and luxurious interior, slick new technology, and the ability to go off-road should the whim strike you.